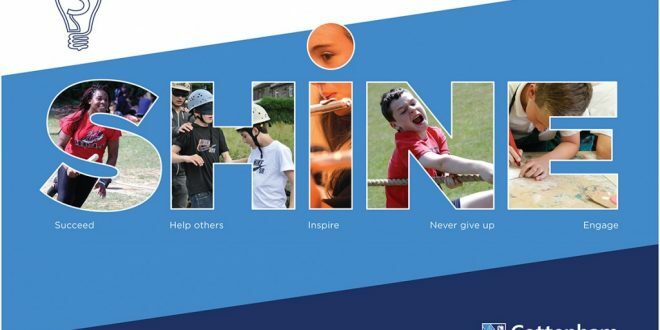 SHINE is an achievement programme to encourage and recognise achievement, bringing out the best in every student. There are 3 levels of awards that all students will take part in throughout their five years in school: Silver, Gold and Platinum. The SHINE programme gives students the opportunity to expand their horizons and become even more well-rounded young adults when they leave Cottenham. It is their opportunity to illustrate success outside of the classroom and be rewarded for it. Students are placed in one of four houses and take part in a wide range of inter-house competitions across all faculties. Houses are largely student led and all students are encouraged to take on leadership roles or positions of responsibility during their time at the school. Our house names were chosen by members of the school community and represent individuals from different walks of life and with varying areas of expertise who all demonstrated the values that SHINE embodies. Alan Turing, OBE, FRS (23 June 1912 – 7 June 1954) was a pioneering computer scientist, mathematician, logician and cryptanalyst. He was highly influential in the development of computer science. During the Second World War, Turing played a pivotal role in cracking intercepted coded messages that enabled the Alliest to defeat the Nazis in many crucial engagements. It has been estimated that this work shortened the war in Europe by as many as two to four years. Frederick Sanger, OM, CH, CBE, FRS, FAA (13 August 1918 – 19 November 2013) was a British biochemist who won the Nobel Prize for Chemistry twice (1958, 1980) “for his work on the structure of proteins, especially that of insulin”. Sanger set out to determine the structure of insulin, a hormone crucial to regulating our blood sugar levels. Many of the disease treatments currently being developed for diseases, such as Alzheimer’s disease, cancer and cystic fibrosis would not be possible without Sanger’s work. Alison Hargreaves (17 February 1962 – 13 August 1995) was an English mountain climber from Derbyshire. Her accomplishments included scaling Mount Everest alone without supplementary oxygen in 1995. She soloed all the great north faces of the Alps in a single season. Hargreaves also climbed 6,813 metre (22,349 ft) Ama Dablam in Nepal. In 1995 Alison Hargreaves intended to climb the three highest mountains in the world: Mount Everest, K2 and Kangchenjunga unaided. On 13 August, she was killed while descending from the summit of K2. Charlotte Bronte (21 April 1816 – 31 March 1855) was an English novelist and poet who left behind a rich legacy of written work which includes classic novels such as ‘Jane Eyre’, ‘Shirley’ and ‘Villette’. A dominant and ambitious woman from a young age, she was someone who refused to blindly follow the norms that society demanded of women during her time. She was a fiercely independent woman who introduced to the literary world a new kind of heroine who defied age-old societal expectations to emerge as a courageous and virtuous individual in her own right.